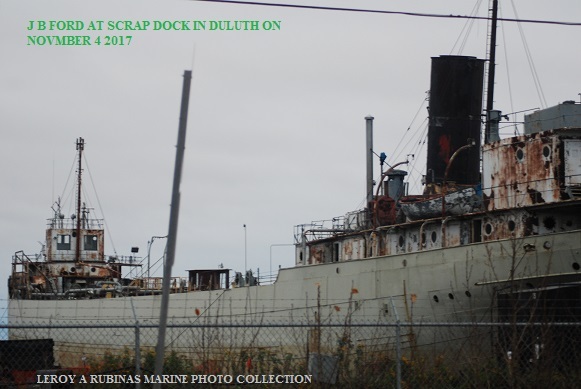 The J B Ford official number 200666 still docked in Duluth, MN as of 4 November 2017. The ship floated to be visible during Halloween & All Souls Day 2017. Note the ladder to the deck from the dock is gone. The ship will be scrapped, but it is still available to be photographed from a distance. 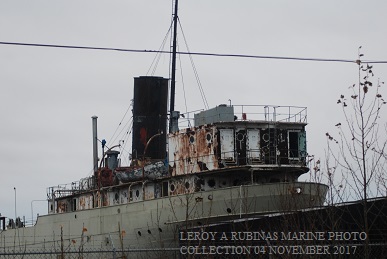 During the 30th Gales of November guest exhibitors were able to view a handful of items recovered from the Steamship J. B. Ford. 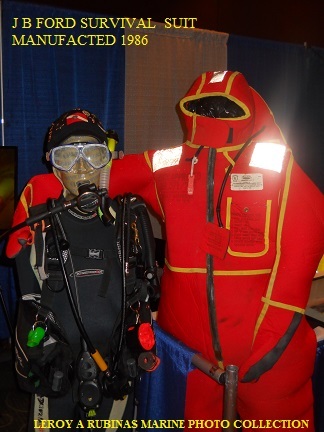 All of these items were purchased from Azcon Metals in Duluth, MN. These included one of 5 surviving decorative crew sinks installed on the ship over the winter of 1903- 1904. An Atomic Attack Poster from the vessel dated 1956. 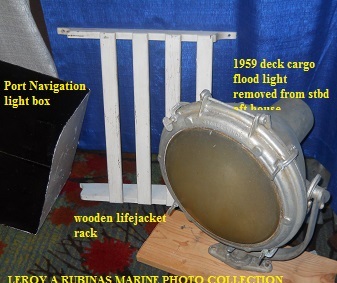 One of three surviving 1959 deck cargo flood lights. The Port Navigation light box. A wooden life jacket rack. A survival suit made in 1986, shown on right side of photo.